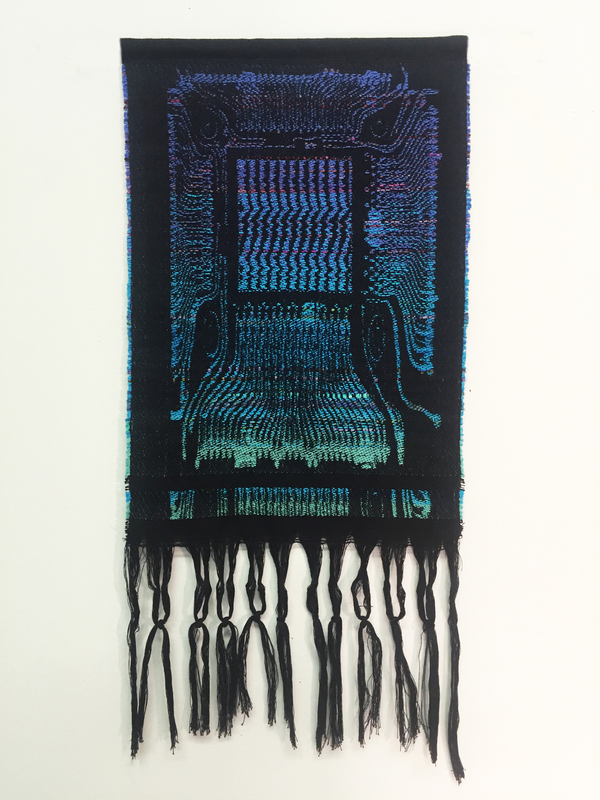 Field Projects is pleased to present the work of Brooklyn-based artist Robin Kang at VOLTA NY. 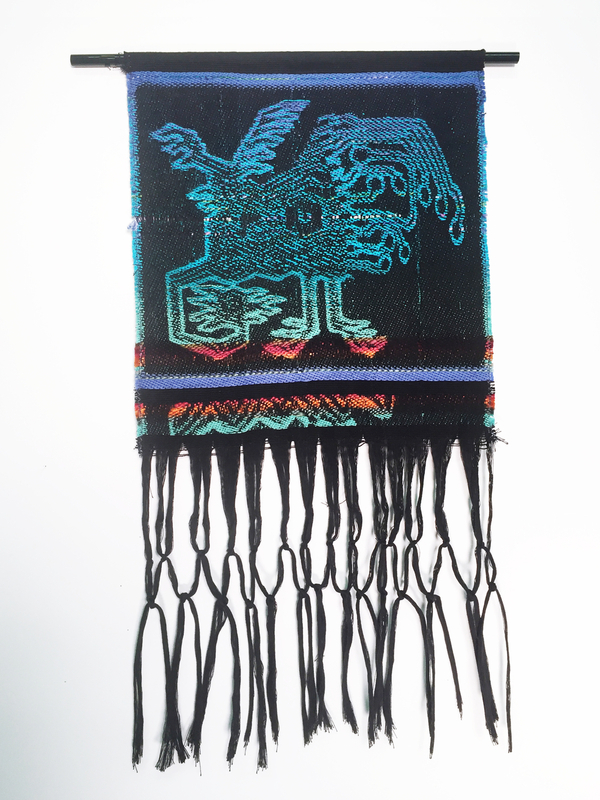 Drawing connections between the history of the textile industry and the development of technology. 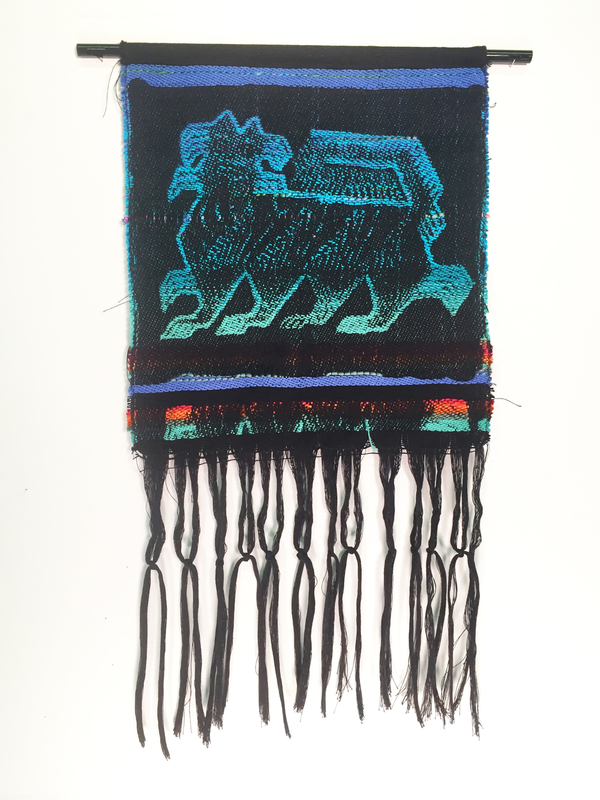 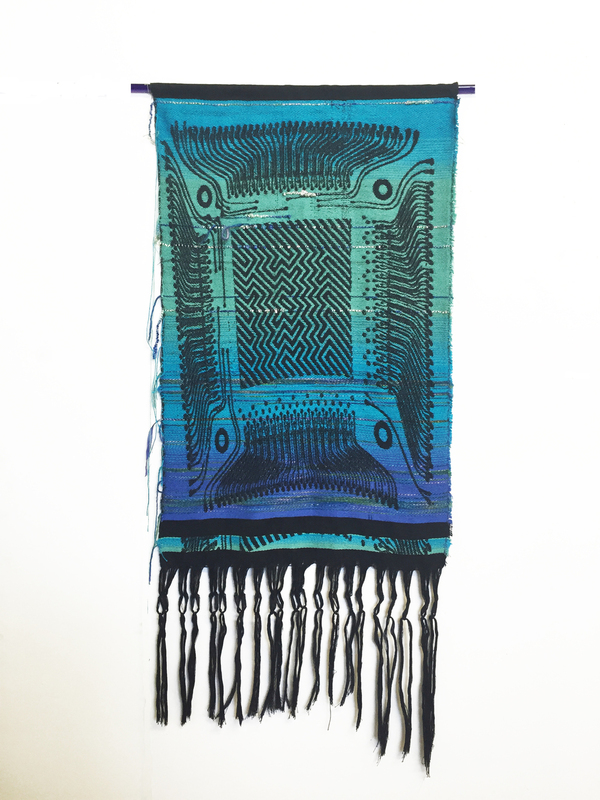 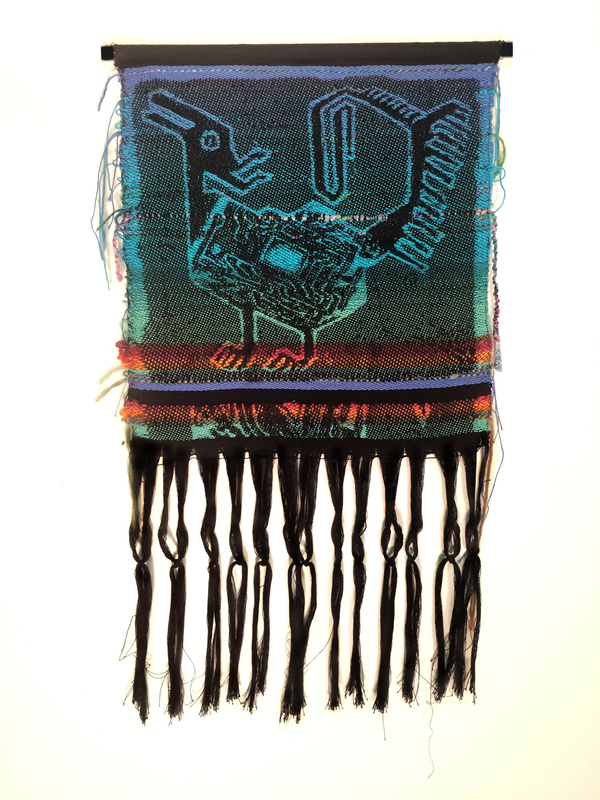 Kang weaves tapestries that combine computer related imagery, digital mark making, and symbolism from historical textiles. 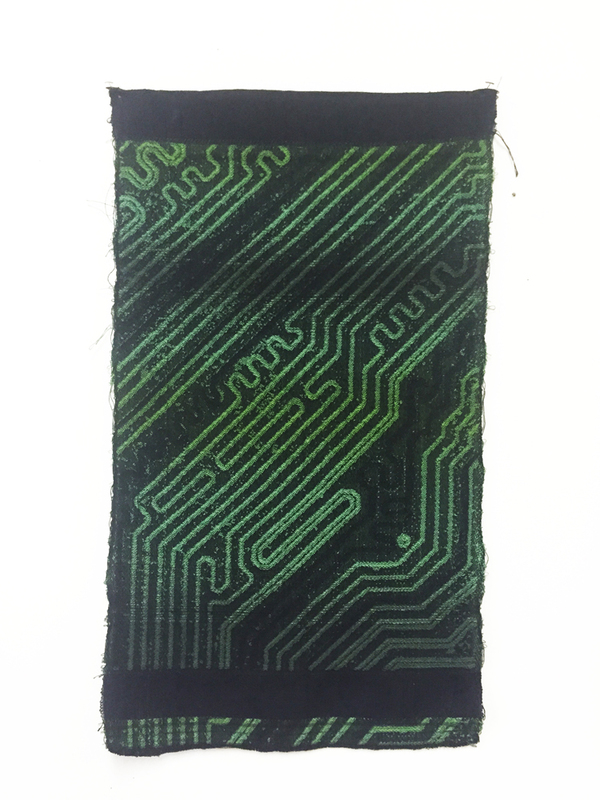 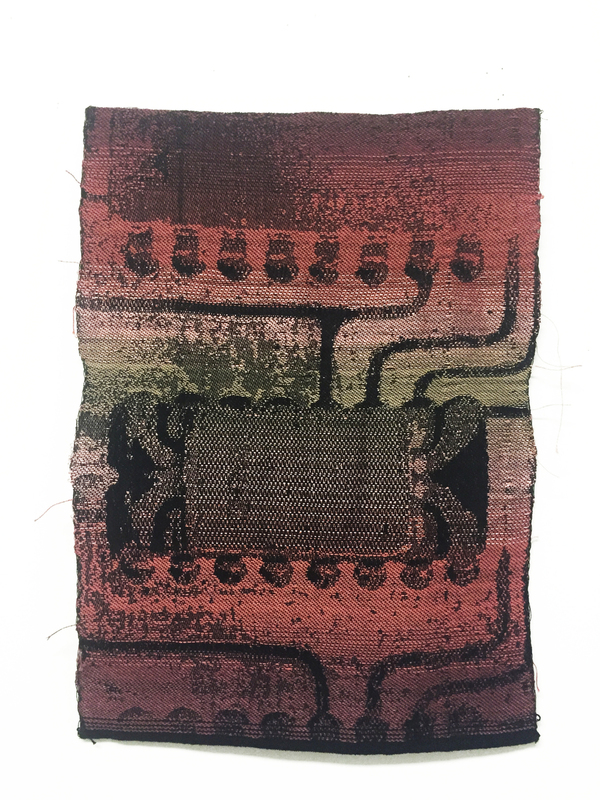 After researching early computer hardware, Kang discovered that the earliest memory storage hardware included both hand-woven copper wires and hand-drawn solder lines. 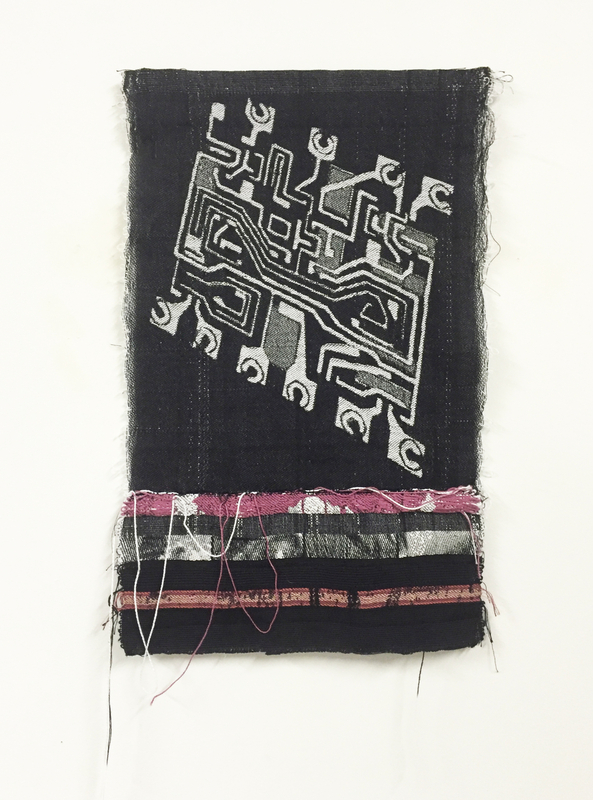 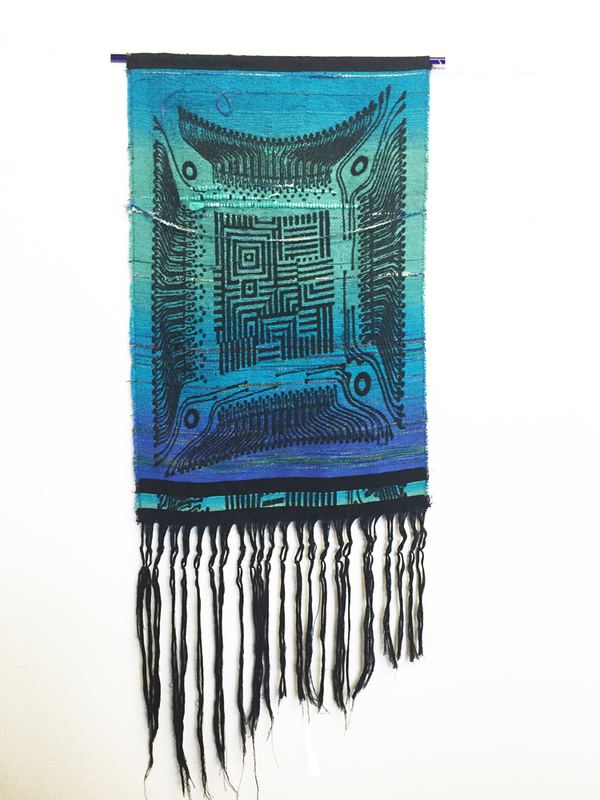 Finding inspiration from this link between old and new technologies, she uses a Jacquard handloom, itself a contemporary version of the first binary computer, to depict motherboard hardware, symbols from ancient weaving traditions, and Photoshop brush strokes with woven interlocking threads. 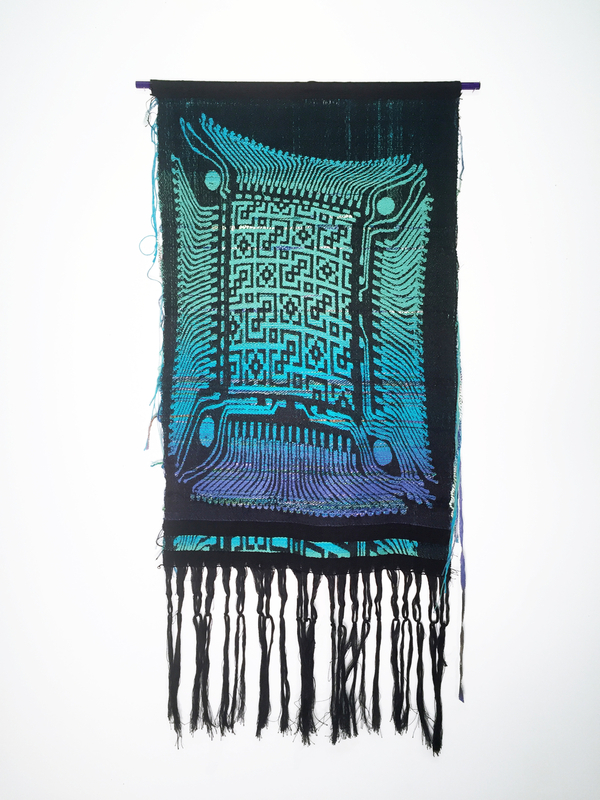 Originally from Texas, Robin Kang received her MFA at the School of the Art Institute of Chicago and currently lives in Brooklyn, NY. 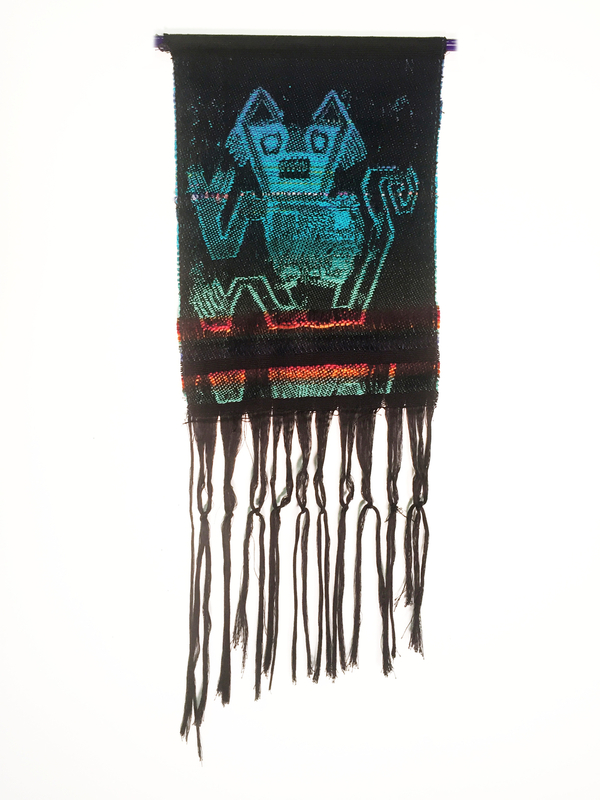 Her textiles, sculptural installations, and video work have been exhibited throughout the US, Canada, Spain, and recently at the Essl Museum in Vienna, Austria. 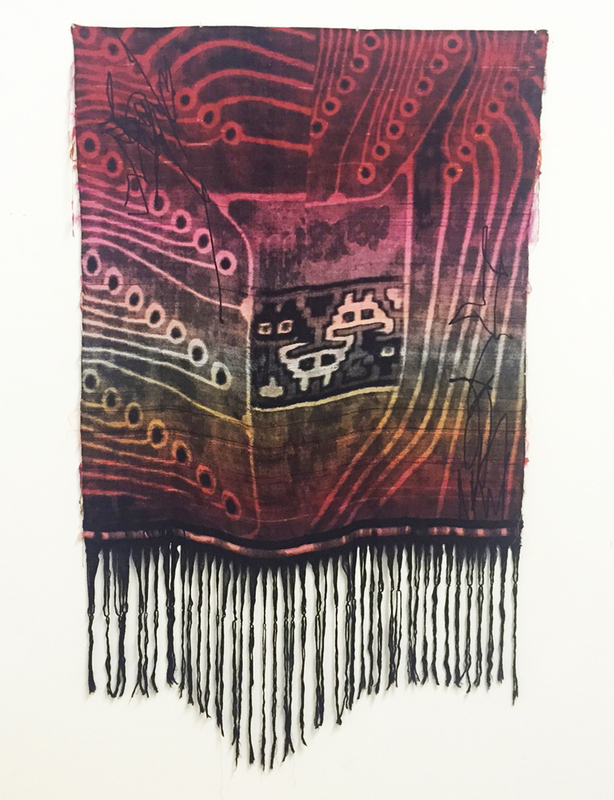 She has participated in artist residencies in Texas, Michigan, and Beijing. 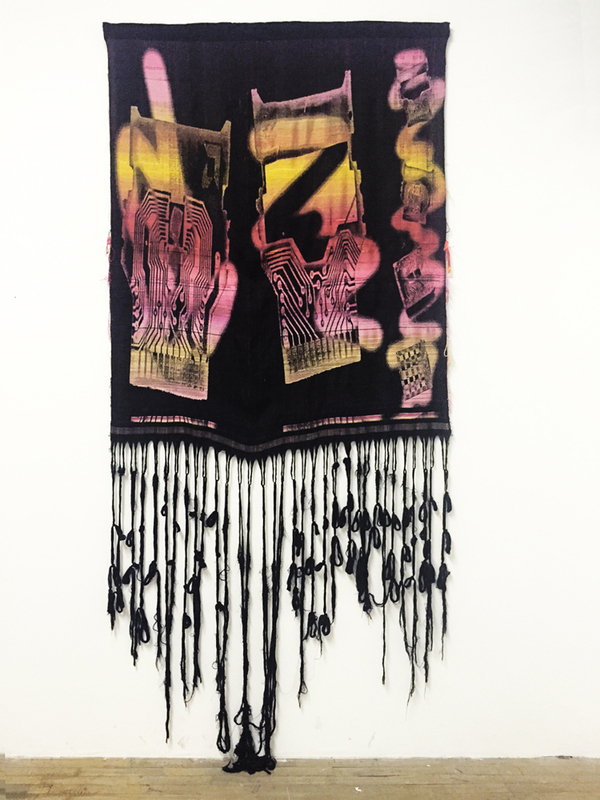 Robin is the founder and director of Carousel Space Project, an alternative art space in Chicago, and Penelope, a project space in Ridgewood, Queens.